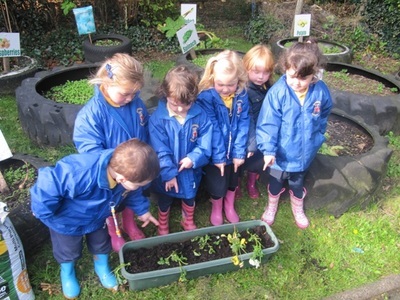 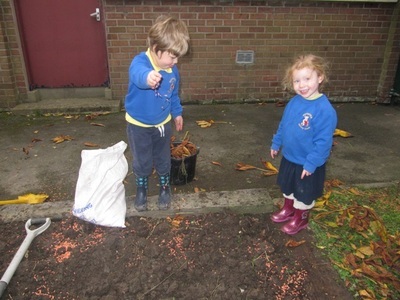 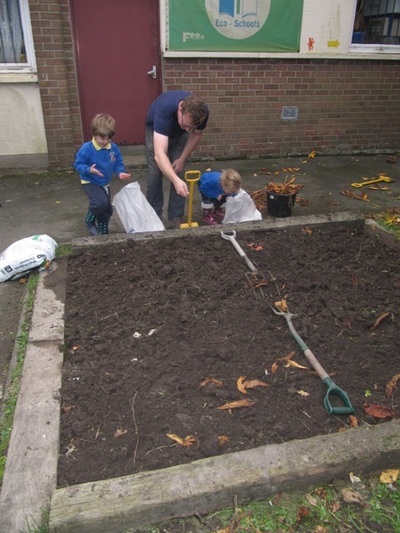 Our friendly farmer daddy helped us to sow our mini crop of oats and wheat with some help from eager young farmers. 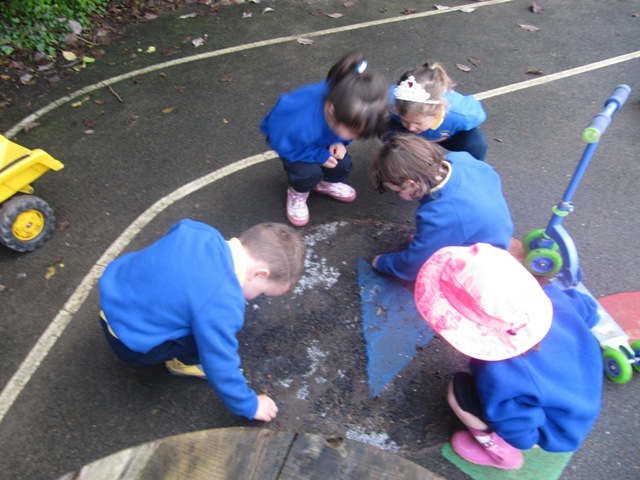 We moved the big wooden drum and found lots of interesting creatures underneath. We planted some end of season pansies in our window boxes near the vegetable garden. 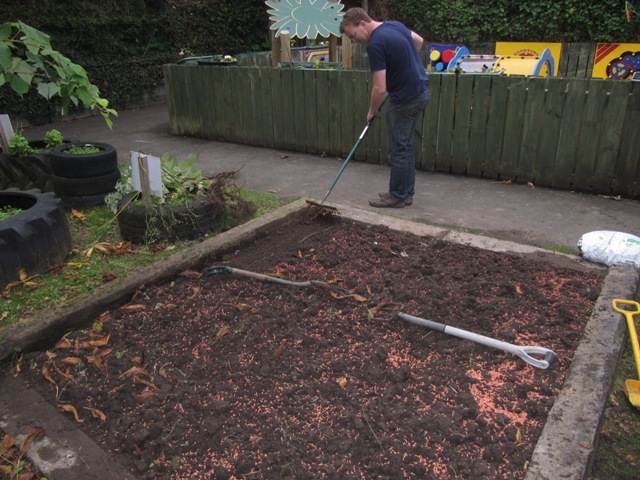 Our staff took all the bottle tops collected last year to Lush soaps in Belfast. 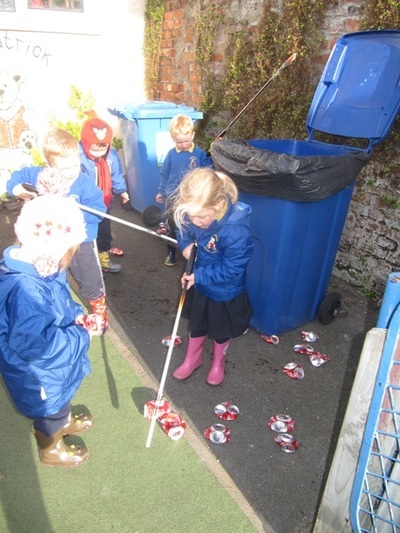 They are recycled and turned into plastic pots to hold all the lovely hand made beauty products. 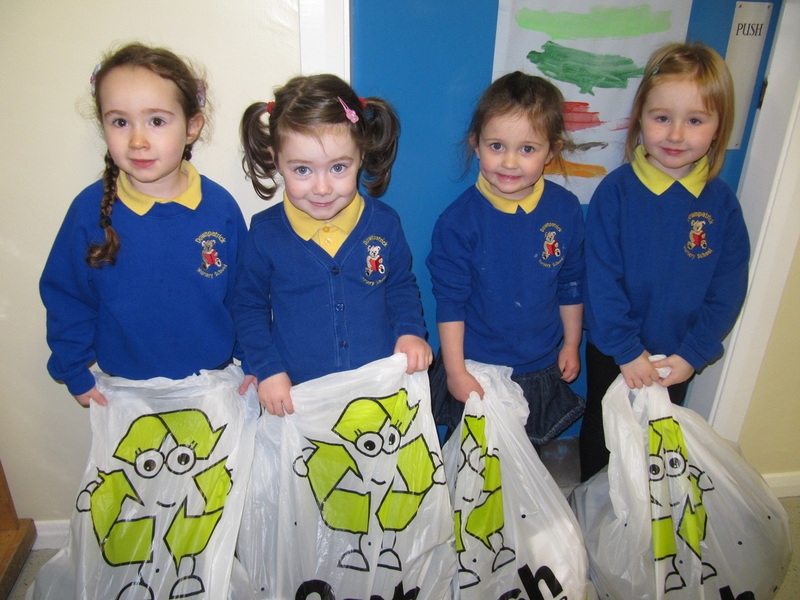 We like our local recycling partnership. 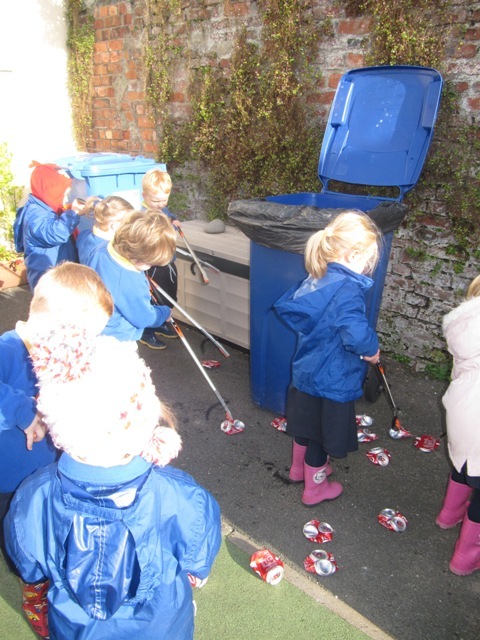 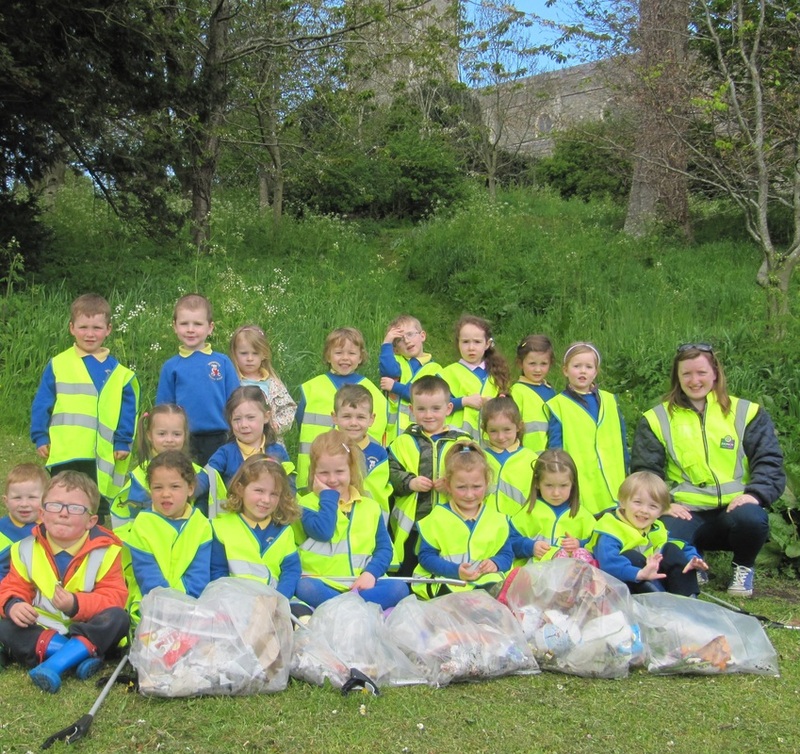 Please keep collecting your milk bottle tops. 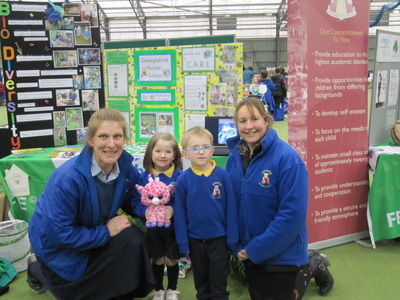 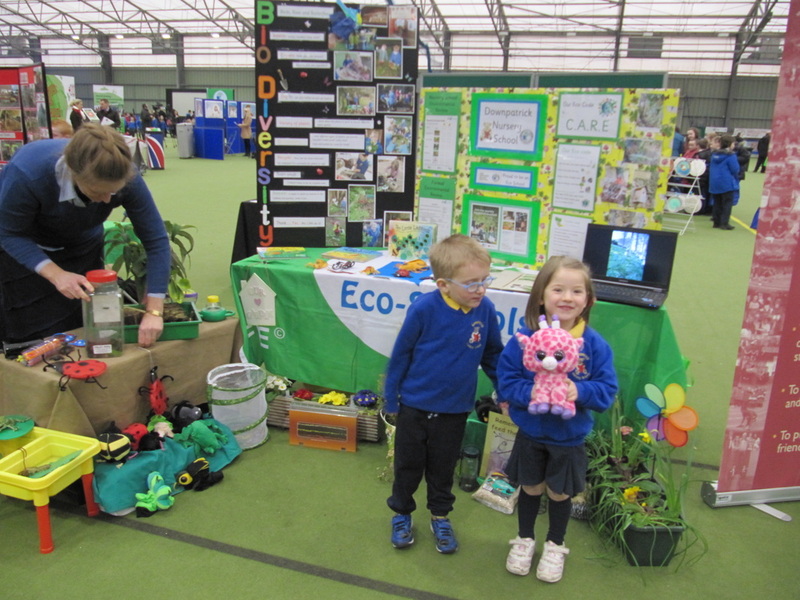 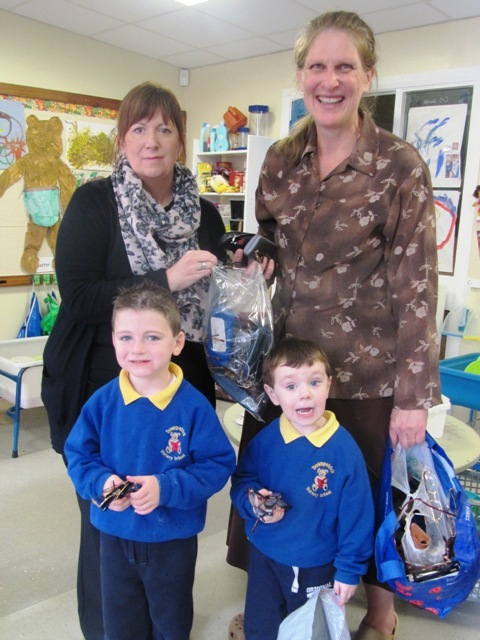 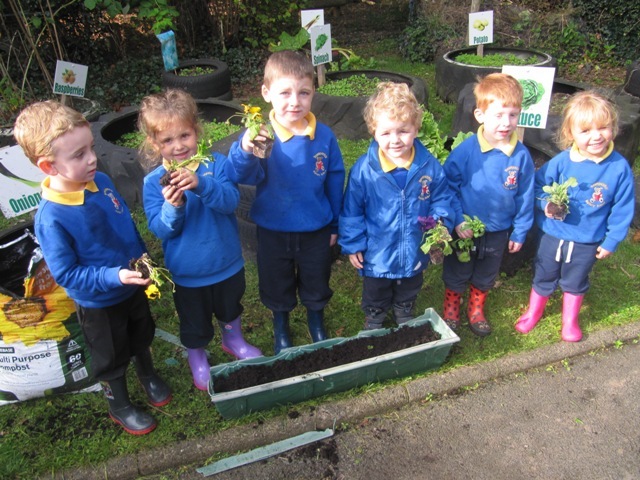 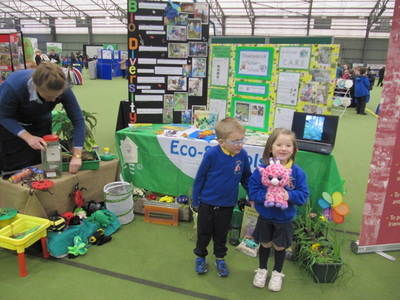 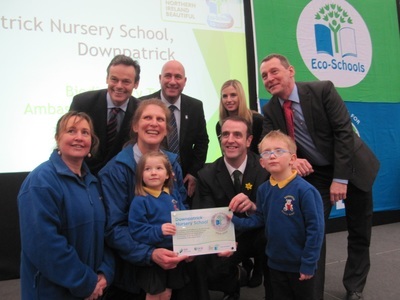 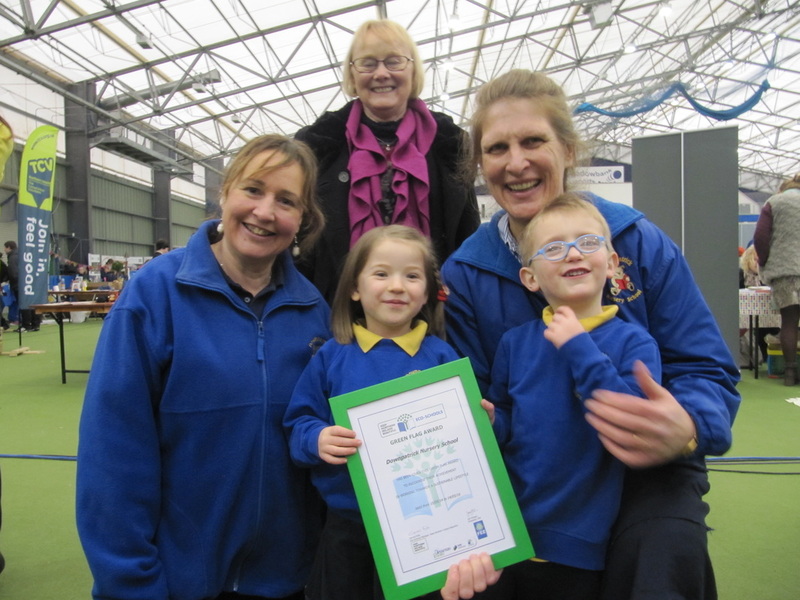 We were very proud to be part of the celebrations for 20 years of Eco Schools. 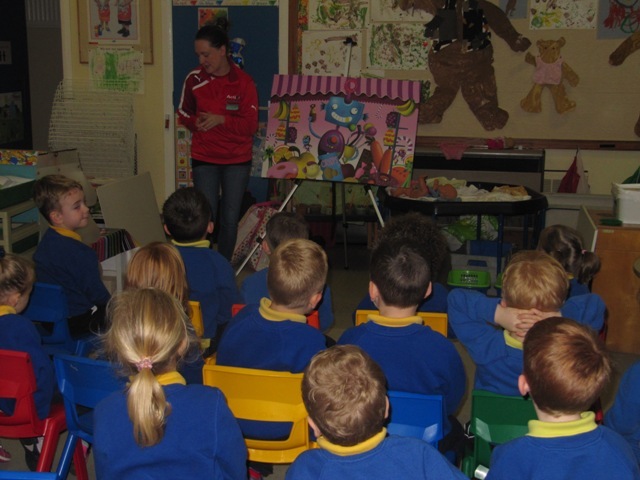 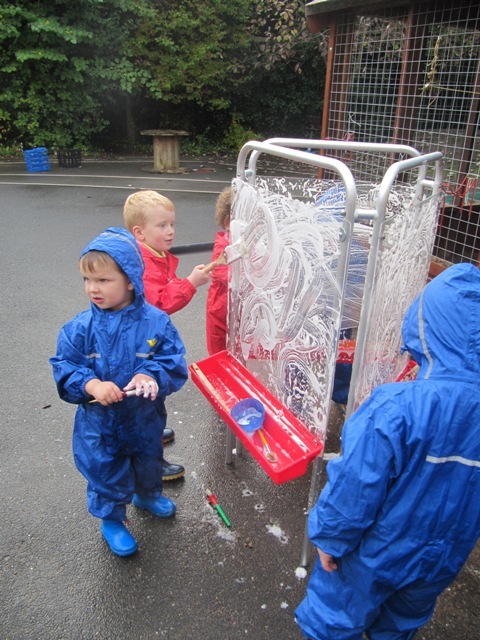 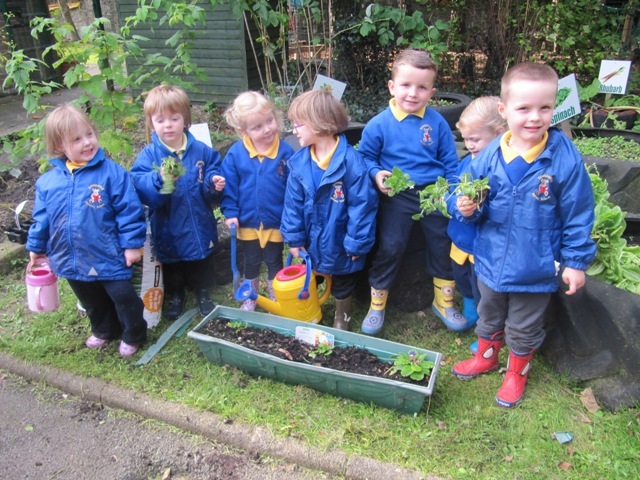 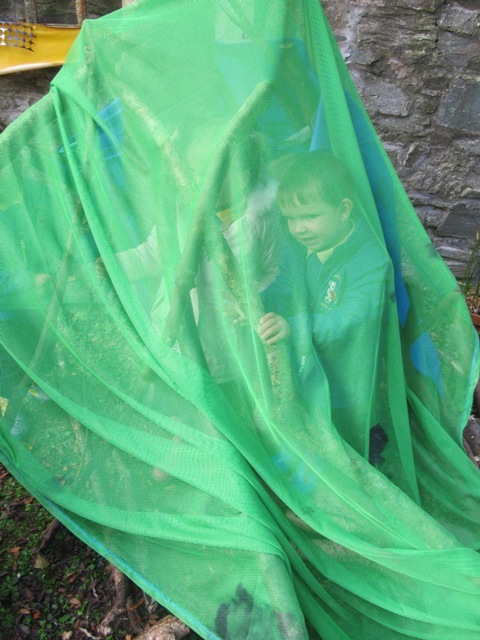 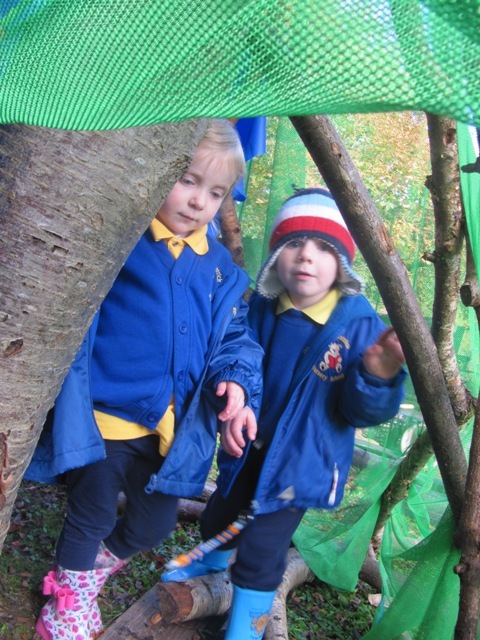 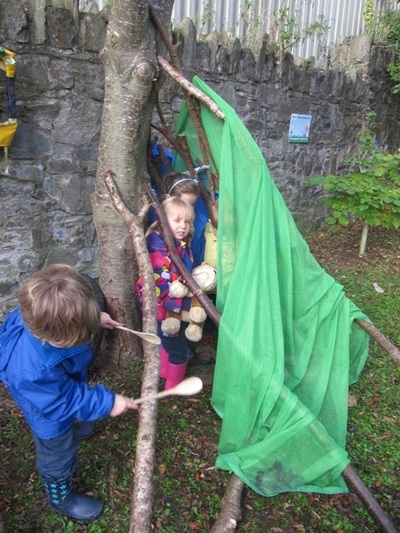 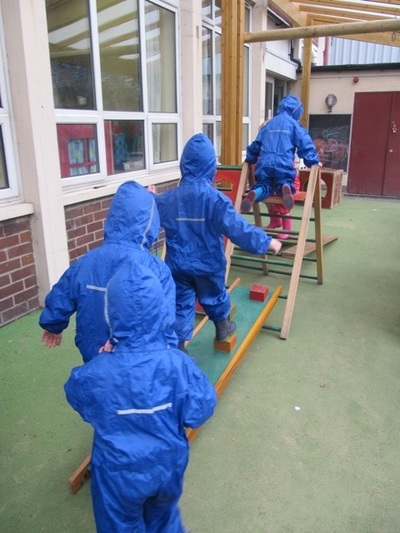 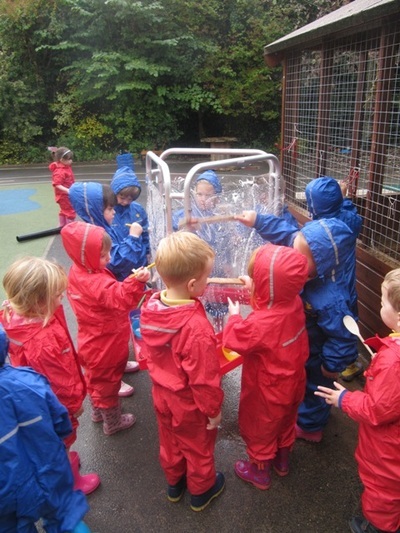 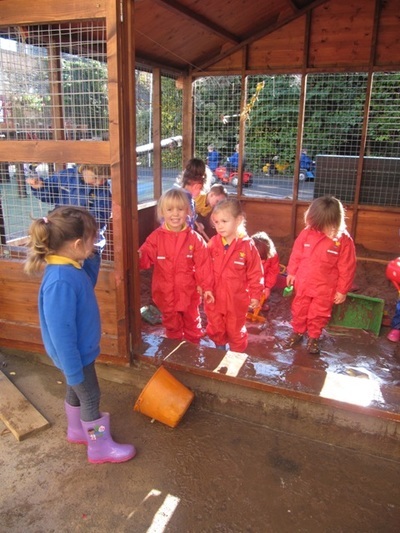 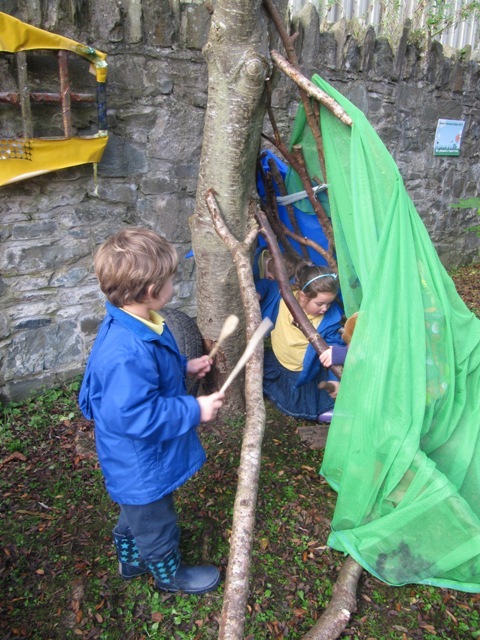 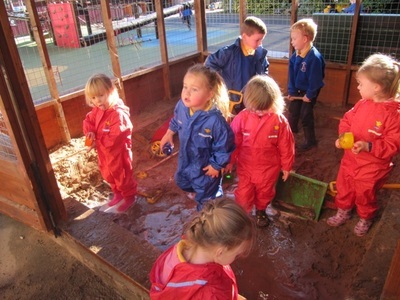 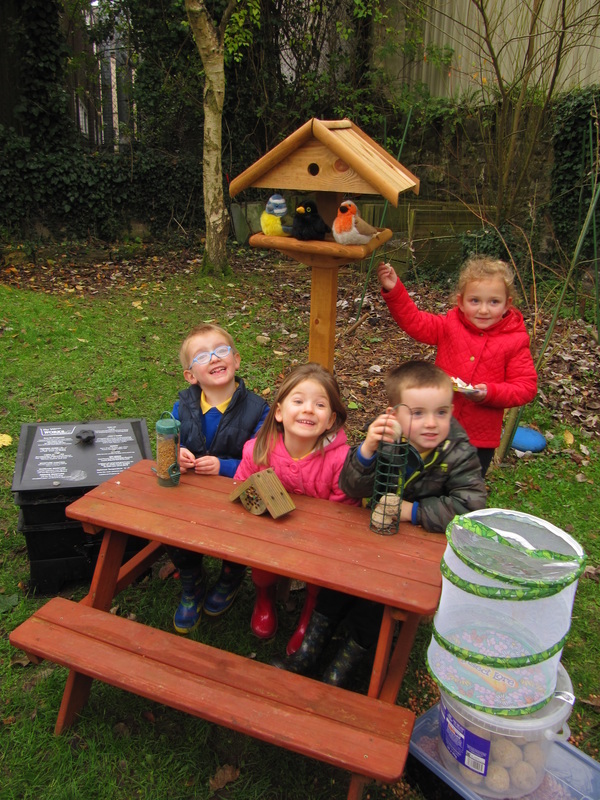 Find out what we have been doing at school. 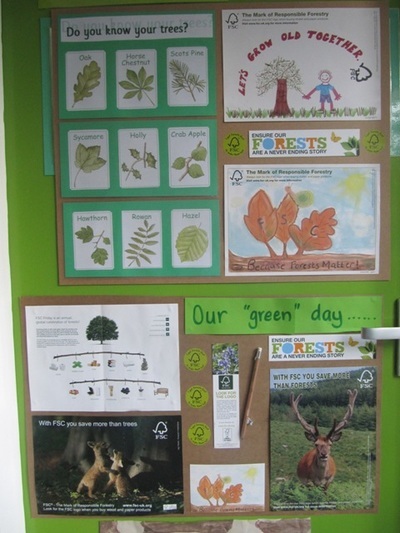 Get hints about eco activities to follow up on at home.